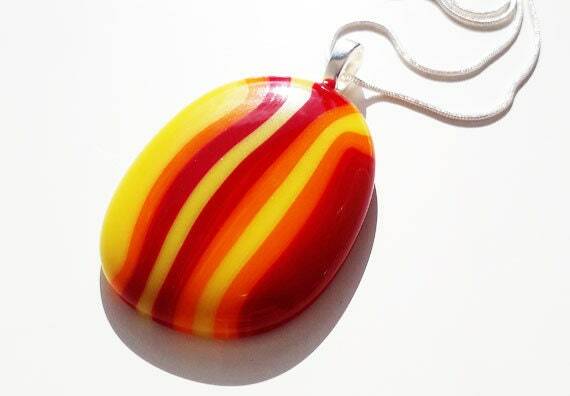 Fused glass pendant, in red orange and yellow stripes. 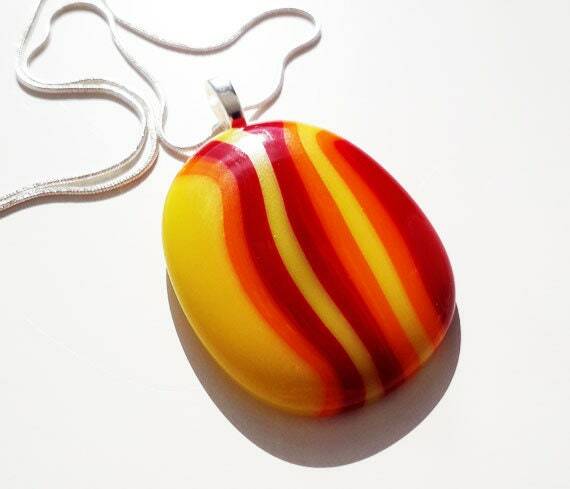 This is a Random Oval Blob shaped pendant. 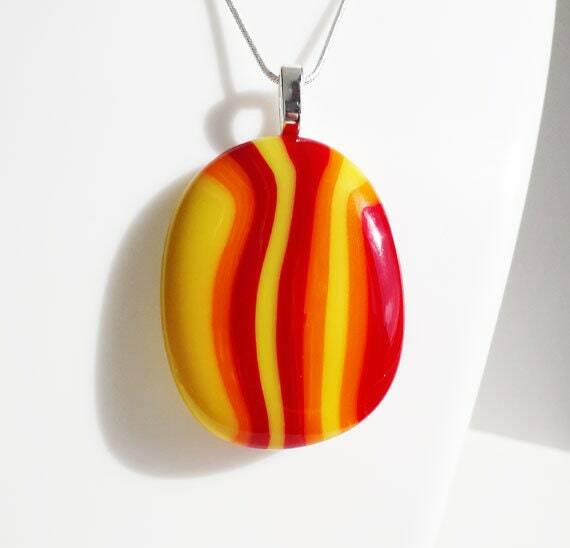 (I like putting glass in the kiln and letting it melt into whatever shape it likes!) It's about 49mm long and 37mm wide, so it's fairly large without being too in your face huge. 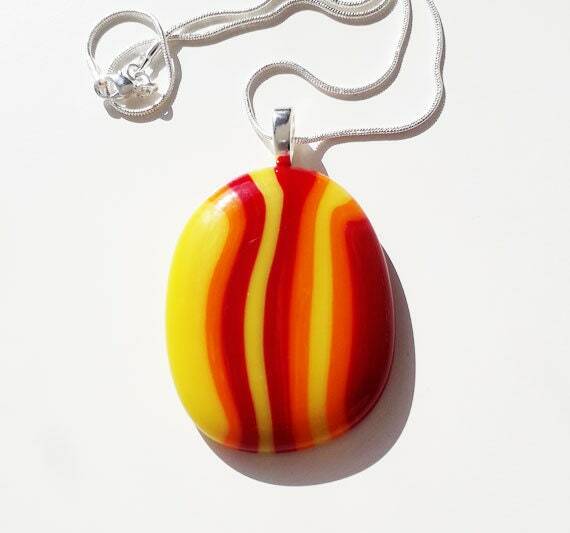 It's made from a mix of red, orange, and yellow opaque glass, and hangs on a silver leaf bail and an 18 inch silver snake chain.